CCT 7 as it currently exists. Central California Traction Company steel box motor. It is a double-ended, double-truck arch-roof car with two sliding baggage doors per side. This car was designed to operate on a 1200 volt DC system. At the Museum it operates at half voltage. 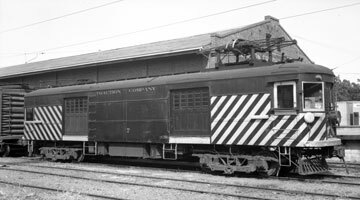 This car was originally operated by the Washington, Baltimore and Annapolis Electric Railroad Company as their second number 1. The car was built by the J G Brill Company of Philadelphia in 1929 using electrical and mechanical equipment from the original WB and A number 1, which burned. The car was run on the WB and A for the Southeastern Express Company and carried that name and logo until the WB and A abandoned service in 1935. It was purchased by the CCT in October 1936. After World War Two the California Public Utilities Commission required electric third rail railroads to fence their property. 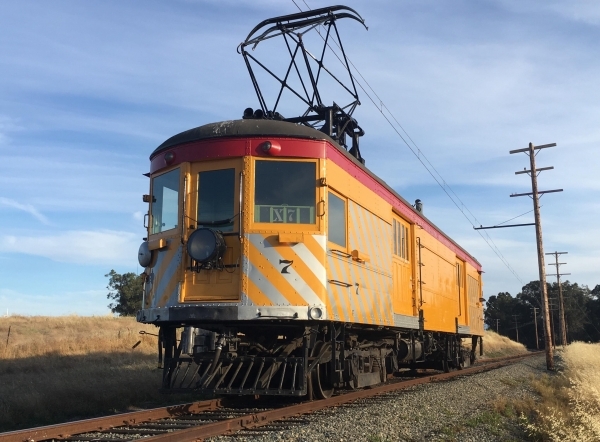 CCT chose to discontinue electric operation in 1946 rather that paying the cost of fencing their railroad. Motors 3 and 7 were retained in Sacramento since the Diesels were not allowed on the streetcar trackage that they shared. 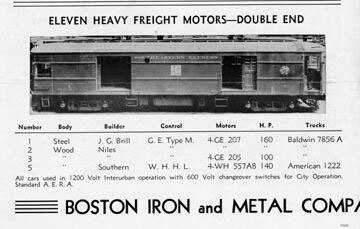 This was worked out in a few months and 7 was retired in September 1948. 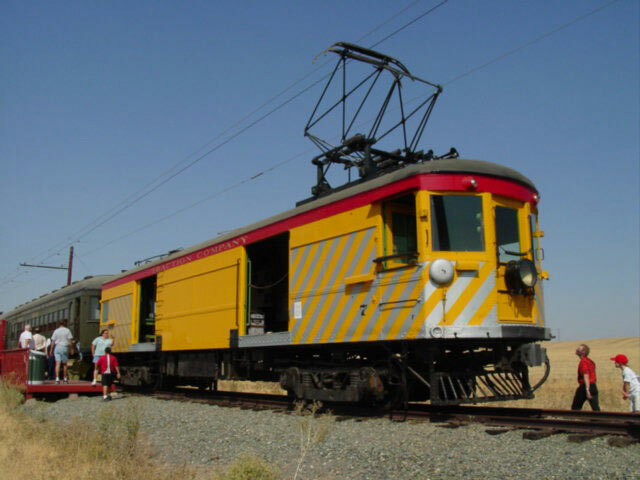 The CCT used 7 as an electric locomotive. It did not carry freight in the carbody on the CCT. The interior includes a coal stove and conductor’s desk. Also inside the car is the D4-E air compressor, large air tank, and dynamotor. 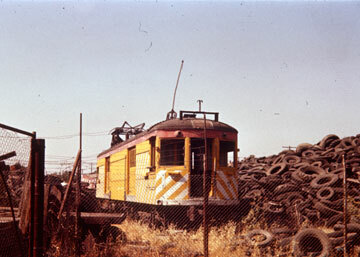 Car 7 was acquired by the Museum in March 1967 after spending 19 years in a junkyard waiting to be scrapped. It arrived at the Museum in poor condition and was restored in the Museum’s shop to its appearance when it came out of service in 1947. When the car was restored care was taken not to remove previous paint jobs. Under the present paint job is every paint scheme the car has ever had. Current Condition: This car is in excellent condition and is operational. It was restored in Museum’s shop. Proposed Future Treatment: Maintain in current condition.